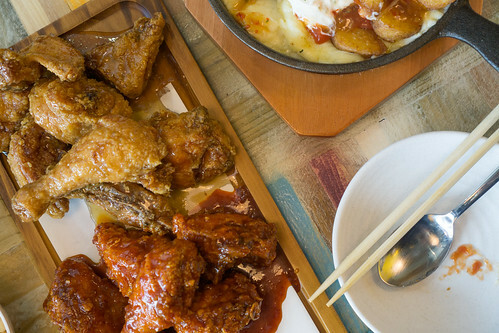 In Box Hill, there’s actually quite a few Korean eateries to choose from and although Nene’s Chicken made it’s mark first in Box Hill for Korean Fried Chicken, impressions haven’t been that great. 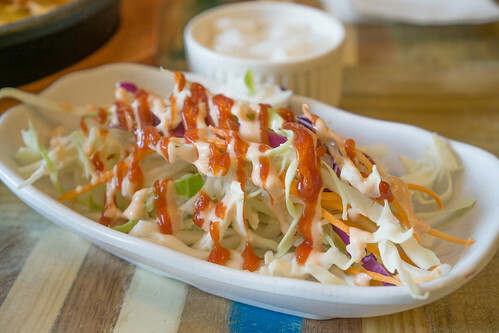 Gami, on the other hand, has a number of outlets across town and positively received among many so it’s nice to see make its way to the east. 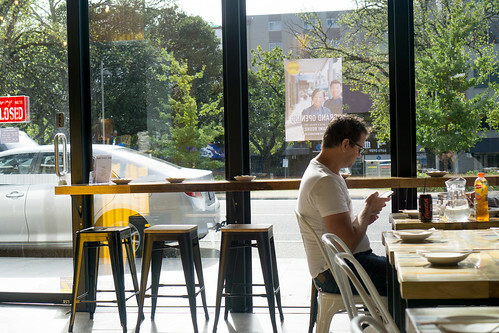 Gami is located in the newly refurbished office building next to Box Hill Institute’s Whitehorse Campus. It’s quite a cozy little joint but with great natural lighting that comes through. 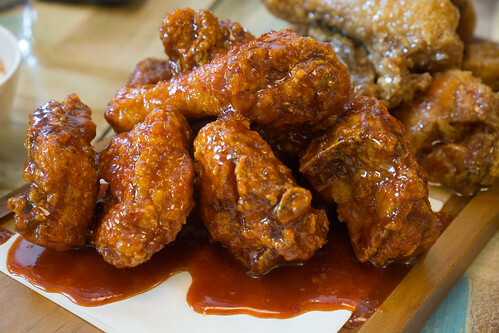 Of course we had to try the fried chicken, and of course, we had to try the spicy variety. I love the crispiness of the exterior, and the slightly sweet but mainly spicy coating is delicious. You’d probably best eat these at a quicker pace as the sauce tends to soften the crispy chicken a bit but it’s still enjoyable nonetheless. The Soy Garlic variety, is a great complement to the spicy option. Having one spicy and then a sweeter one balances it out. The chicken was also well cooked, not dry and still tender inside. All Fried Chicken comes with Cabbage Salad and Pickled Radish. The tomato mayo dressing is interesting. 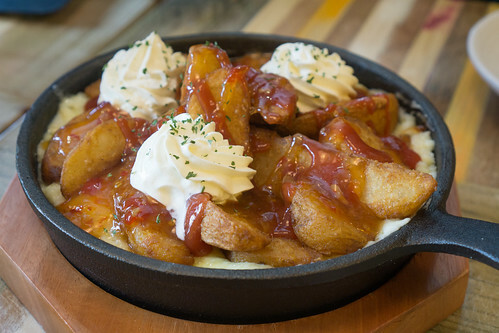 We were recommended to try their Potato Heaven, which is basically mash potato plus cheese, sour cream and wedges and with sweet chilli sauce drizzled on top. I must say, this is so addictive, you can’t stop at one mouthful. So incredibly rich, but so tasty. 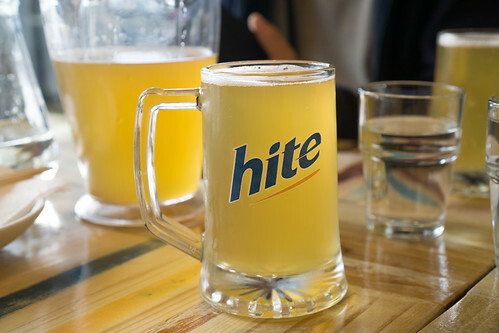 You also can’t go wrong with their G Beer Pale Ale (Gun:Bae), which is exclusive to Gami. The “hoppy” ness and fruitiness reminded me of Hoegaarden a bit, but don’t take my word for it. I don’t actually know my beers that well! 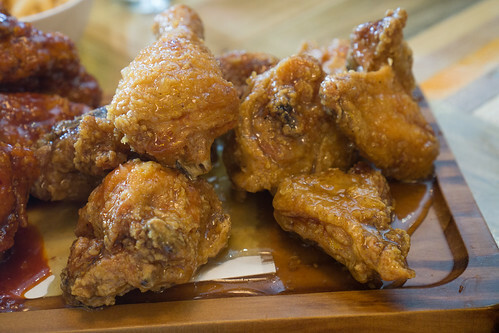 Gami, Korean Fried Chicken done right.